The Senate has approved on third and final reading Senate Bill No. 1354 or the Philippine Mental Health Act of 2017. Philstar.com noted that the bill was sponsored by Sen. Risa Hontiveros, former Senate Committee on Health chairperson. 19 senators unanimously approved the bill. Hontiveros remarked: "This is a historic day for all of us. After being one of the few countries left without a mental health policy, we are now one step closer to realizing a national mental health law to comprehensively address the Filipinos’ mental health needs and ensure that our rights as persons with mental health needs are protected and secured." 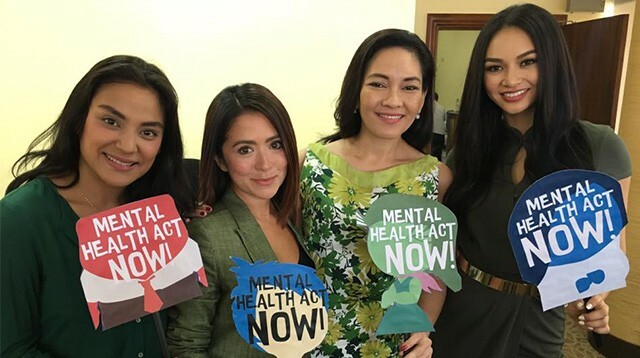 Also in attendance at the Senate were some of the bill's celebrity supporters such as actress Antoinette Taus, Miss International Kylie Verzosa, and Jerika Ejercito. It can be recalled that Kylie started an online support group for those with mental health issues.